Successful restaurants have the ability to multi-task and manage the multiplying list of areas needing focus. Once Barrio Foods Consulting evaluates and installs the necessary kitchen management tools, owners can manage their business in a highly organized and systematic fashion. This will allow owners to increase their focus on sales growth and the many other areas outside the kitchen that require the owners' attention. The premiere Latin kitchen team, Barrio Foods Consulting, led by Chef Alex Garcia, provides expertise and access to top chefs across every cuisine. This allows us to work with a broad array of culinary solutions. We provide the tools and training necessary to run your culinary operations with a kitchen manager instead of hiring a chef. We work with you to create menus, develop and provide recipes. 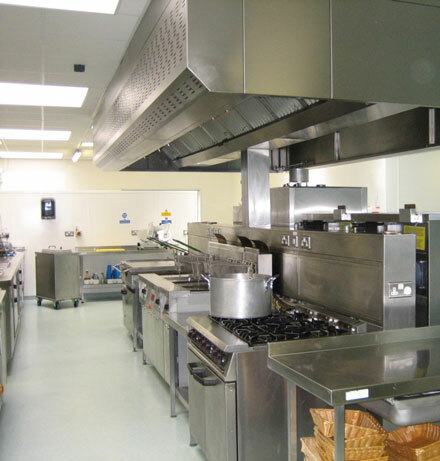 We install systems such as purchasing tools, scheduling, food pricing, labor modeling, human resources guidelines, Health Department checklist, as well as the numerous checklists and tracking tools necessary to run a functioning, budget-conscious kitchen. We also provide Health Department mock inspections with reporting in order for our clients to receive the best possible review.